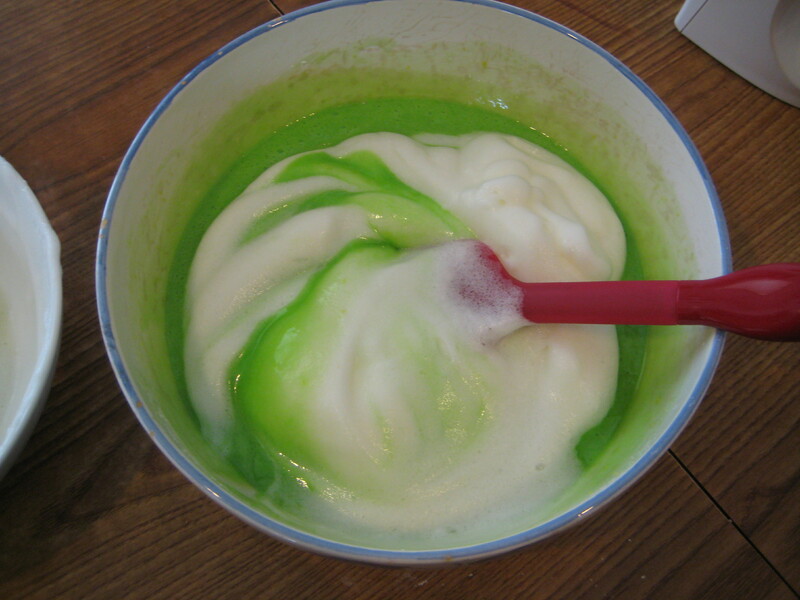 Well my dad gave me 3 bottles of Pandan and I had to figure out what to do with it. 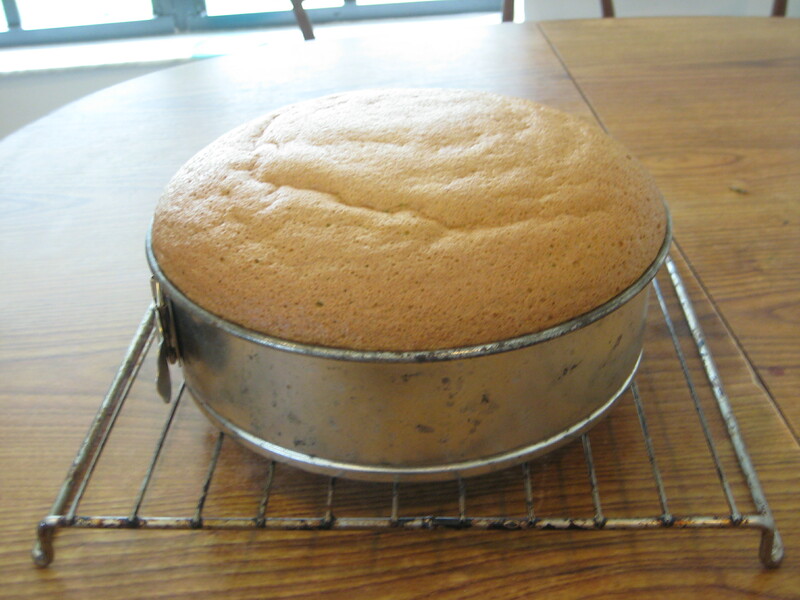 So I decided to make a chiffon cake out of it. 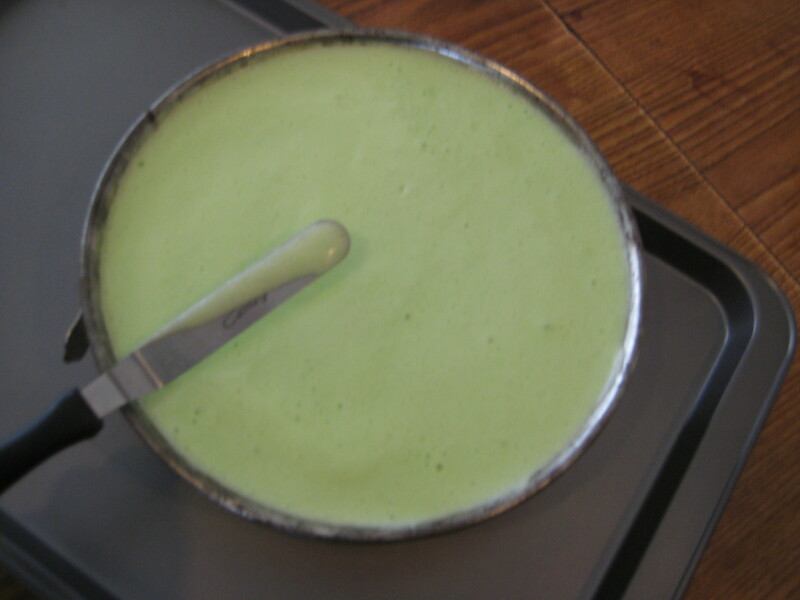 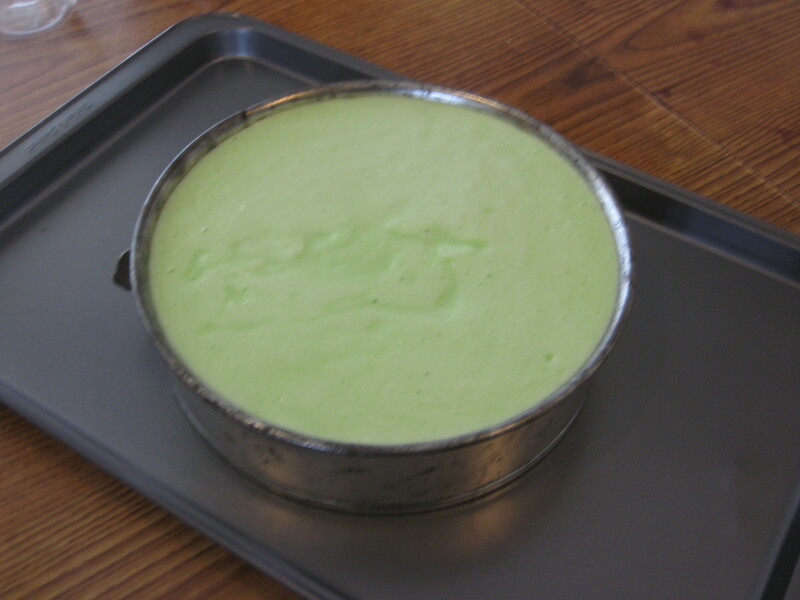 Although I will be making a Pandan Rice Cake later on in this blog. 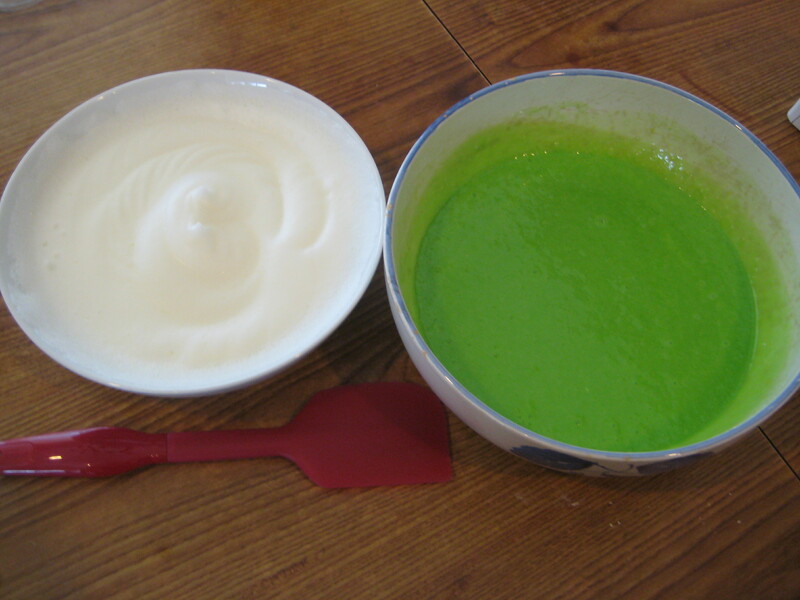 Anyways, today I will be making Pandan Chiffon Cake. 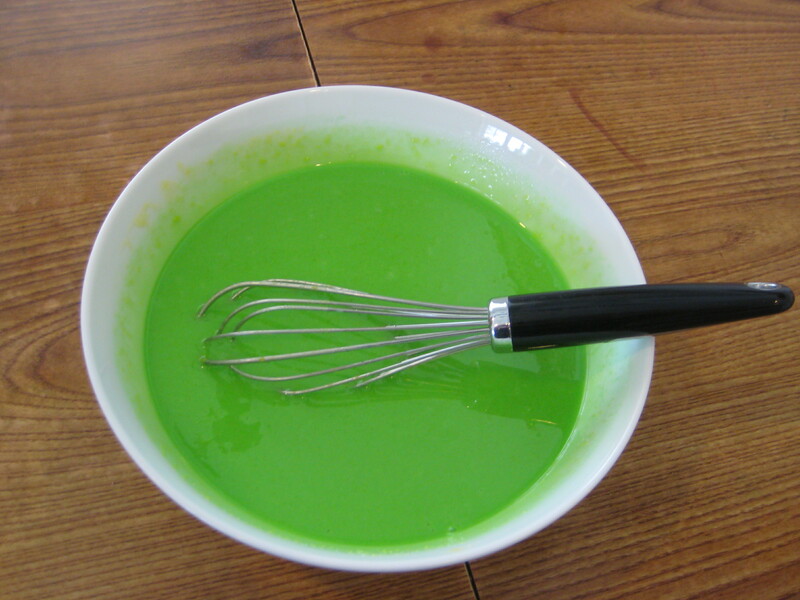 The cool thing about it is that it’s completely green. 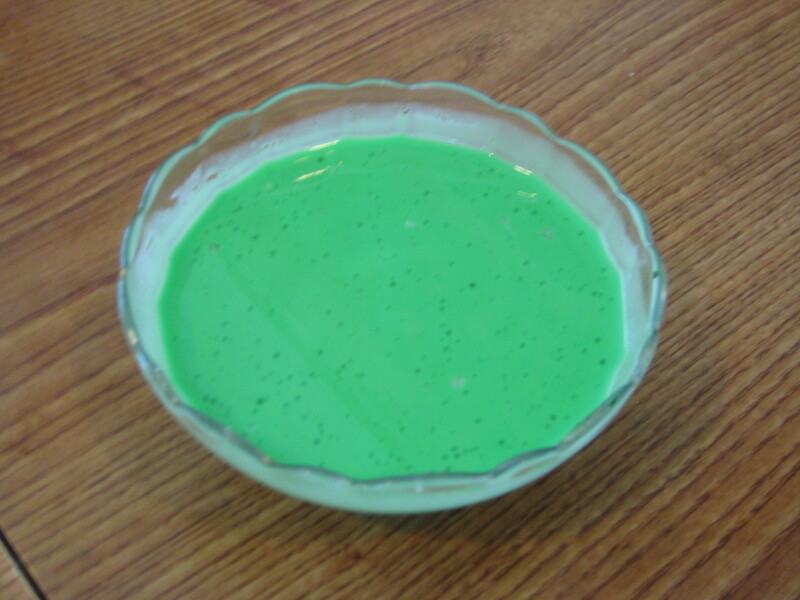 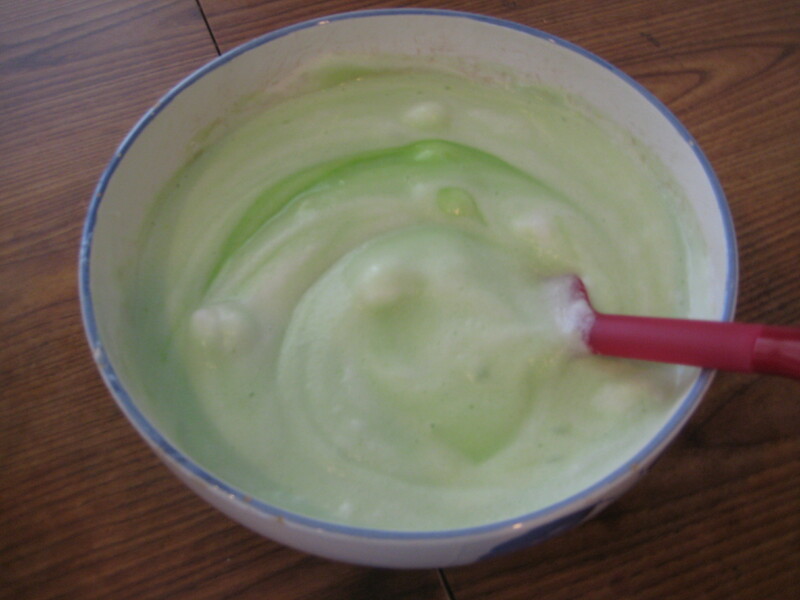 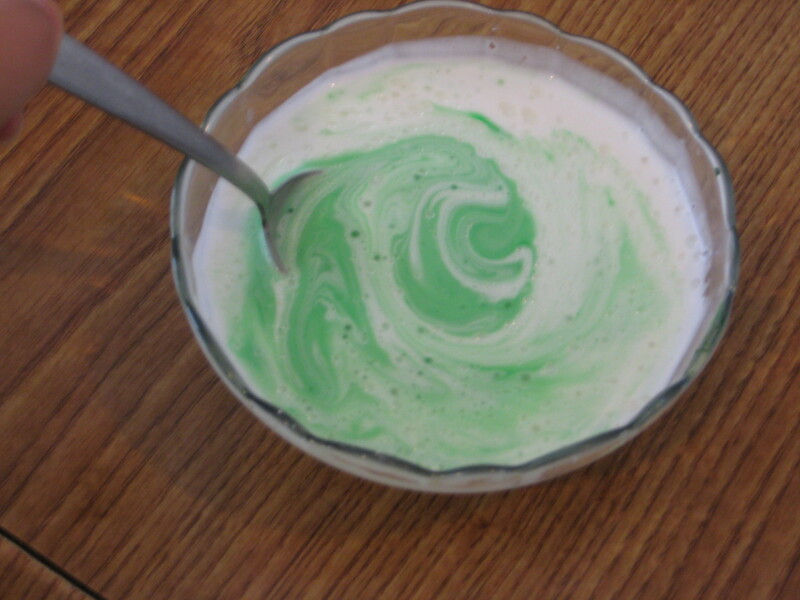 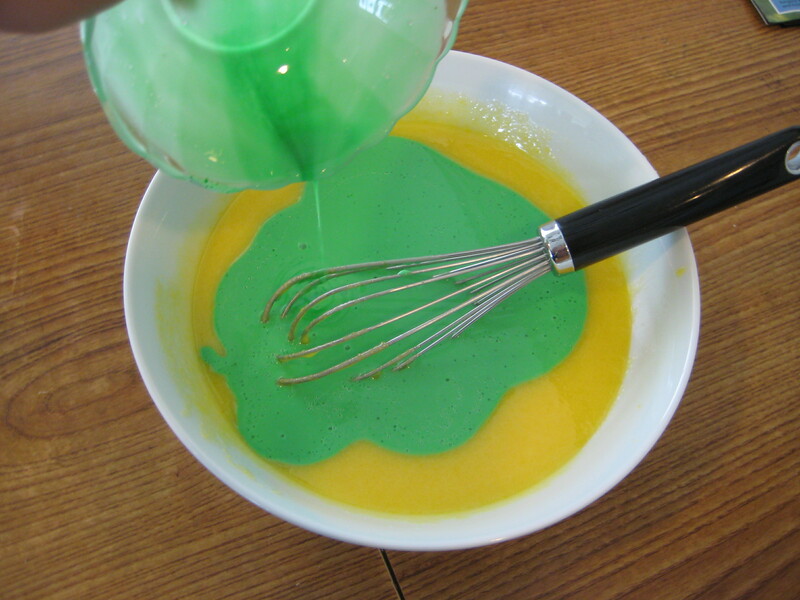 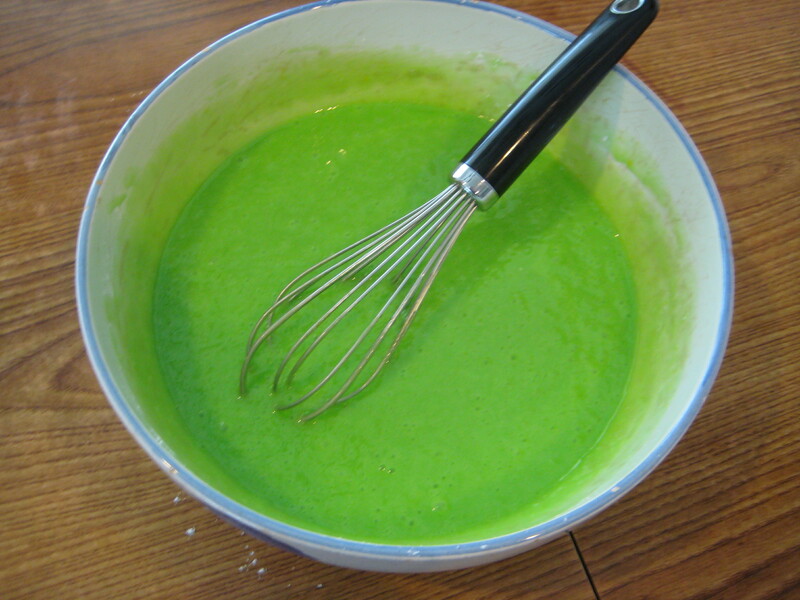 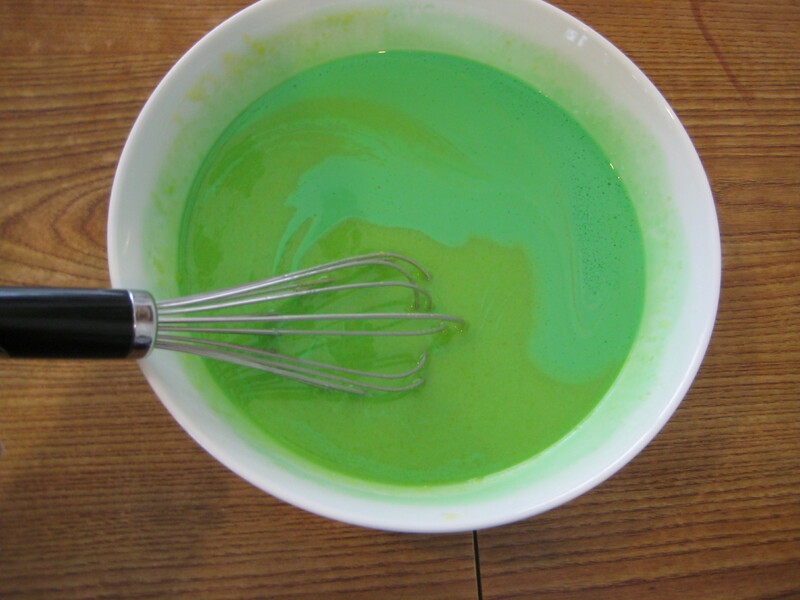 It would have been great to have made it for St. Patrick’s Day, but alas I didn’t have pandan paste at the time. 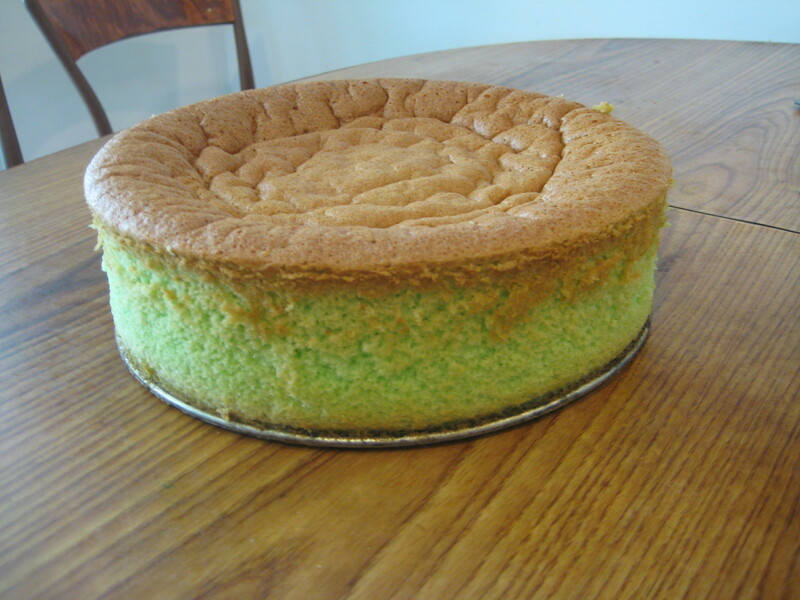 What is so great about this cake is that it’s light, not overly sweet, and has a delicate flavor to it. 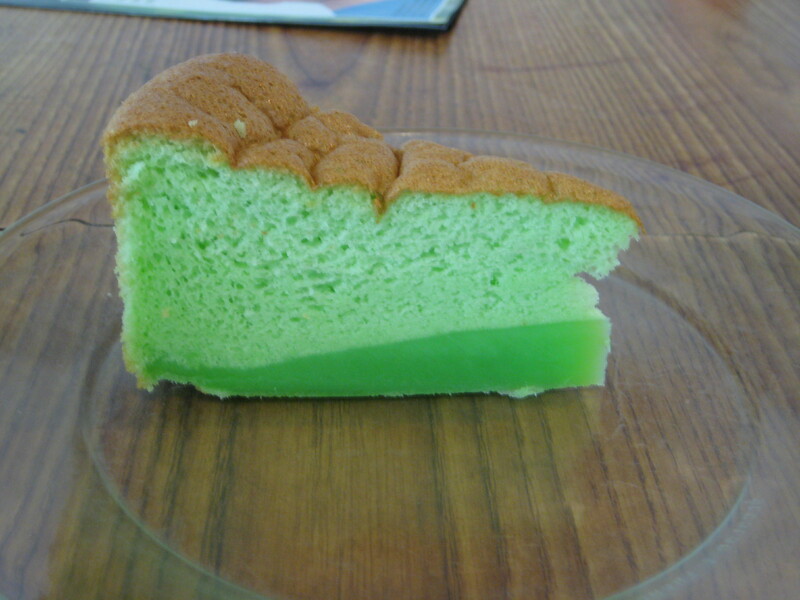 I really like this cake because it practically melts in your mouth. 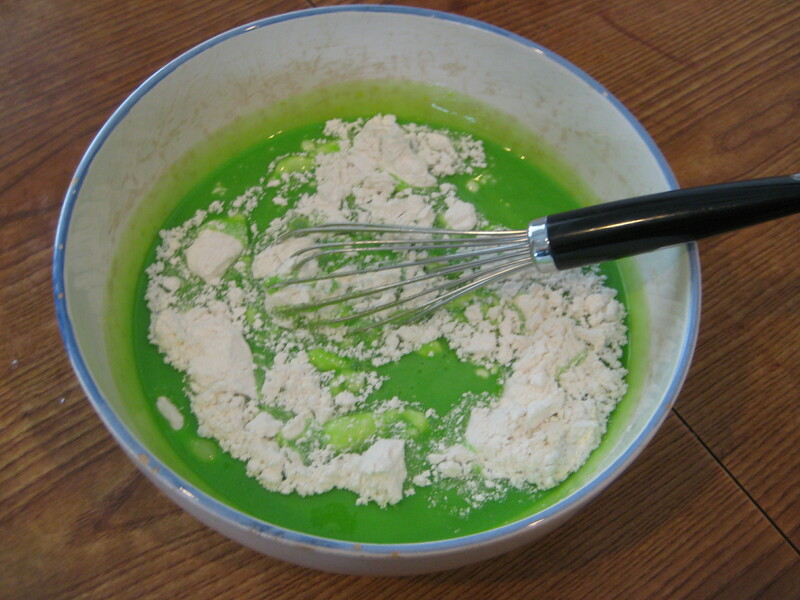 Step 2: In a small bowl, combine the coconut milk and pandan paste, set aside. 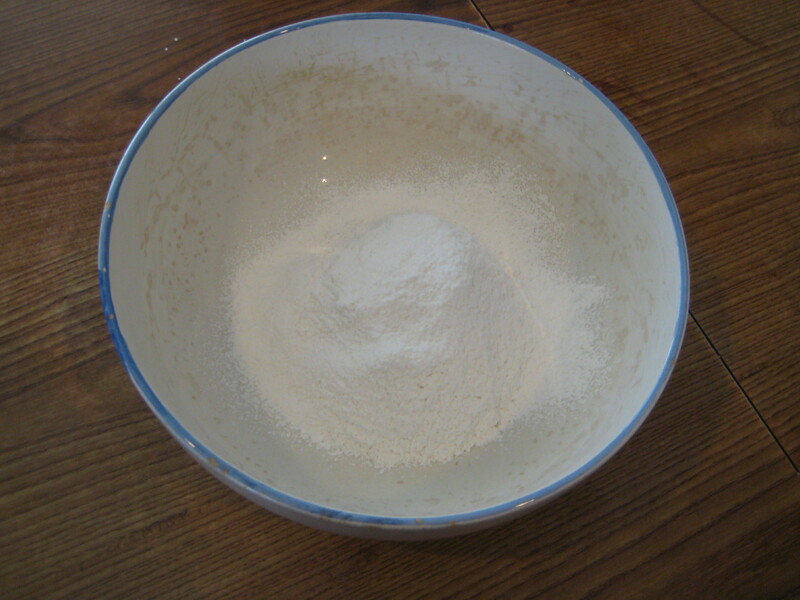 Step 6: Make a well in the center of the flour mixture. 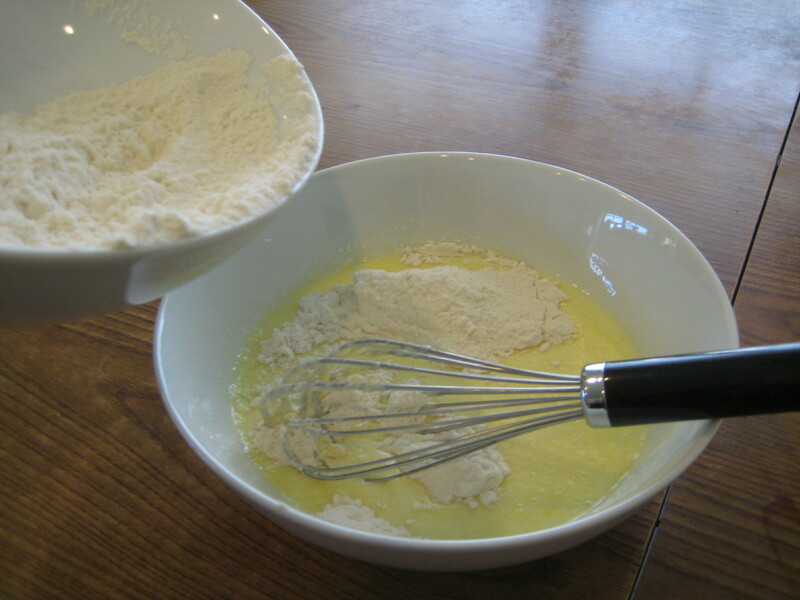 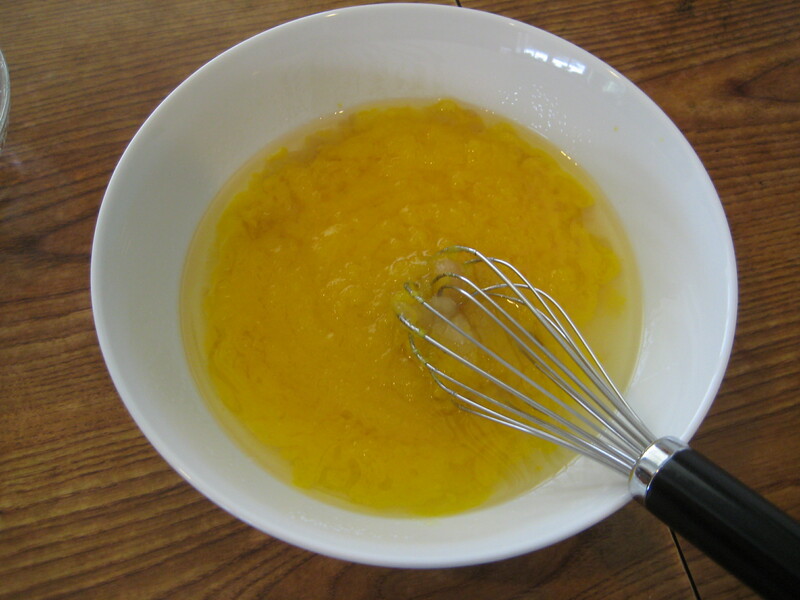 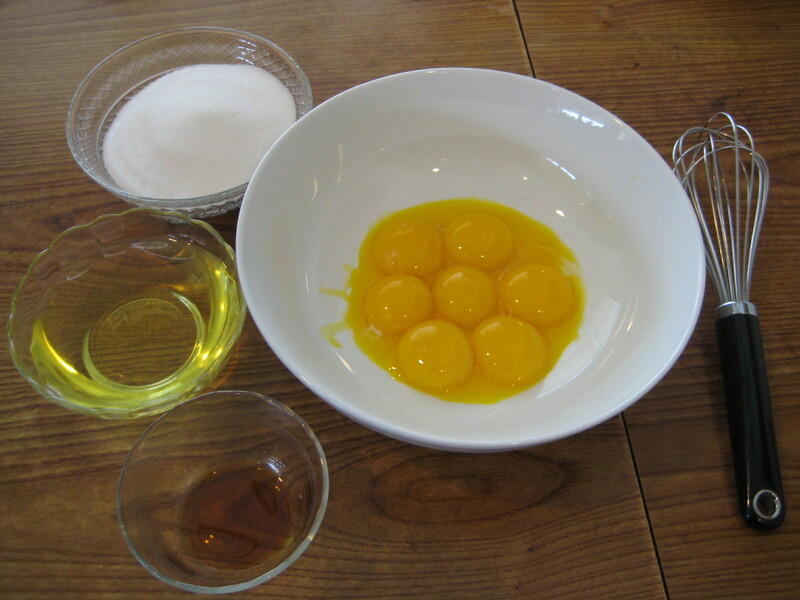 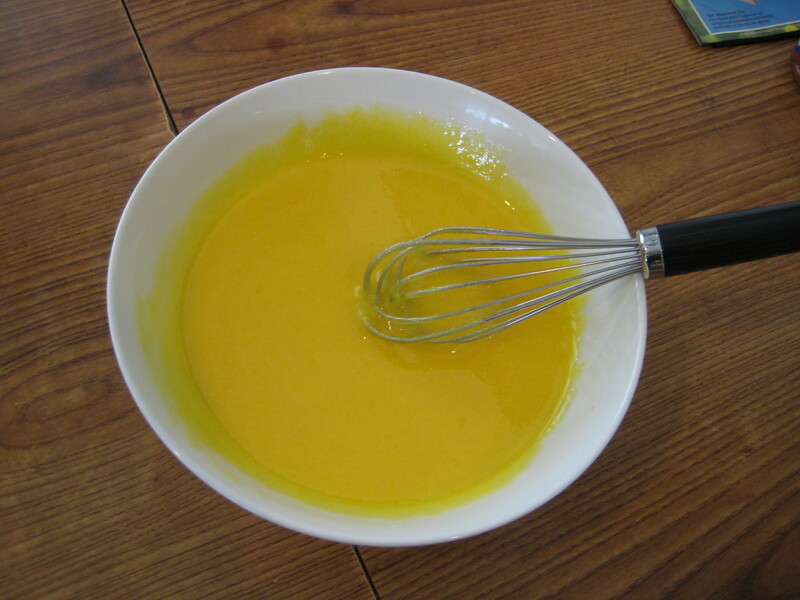 Step 7: Whisk egg yolk mixture into the flour mixture. 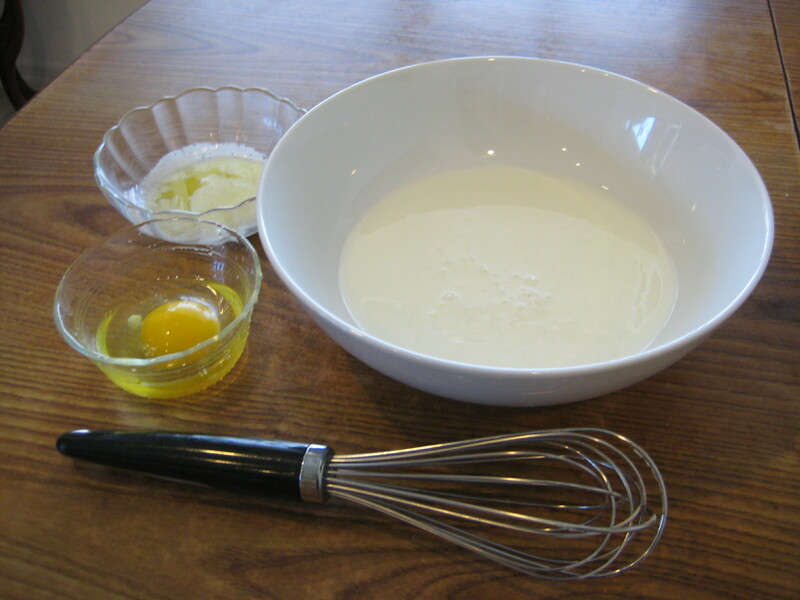 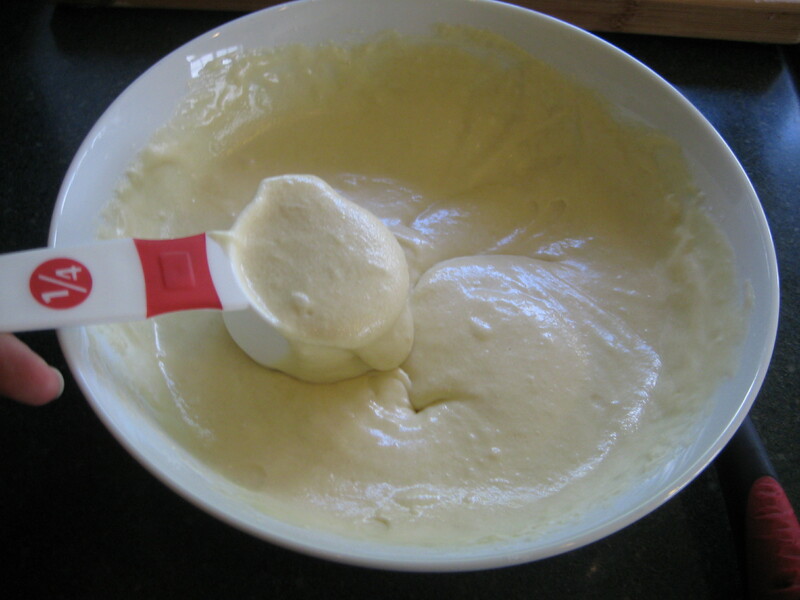 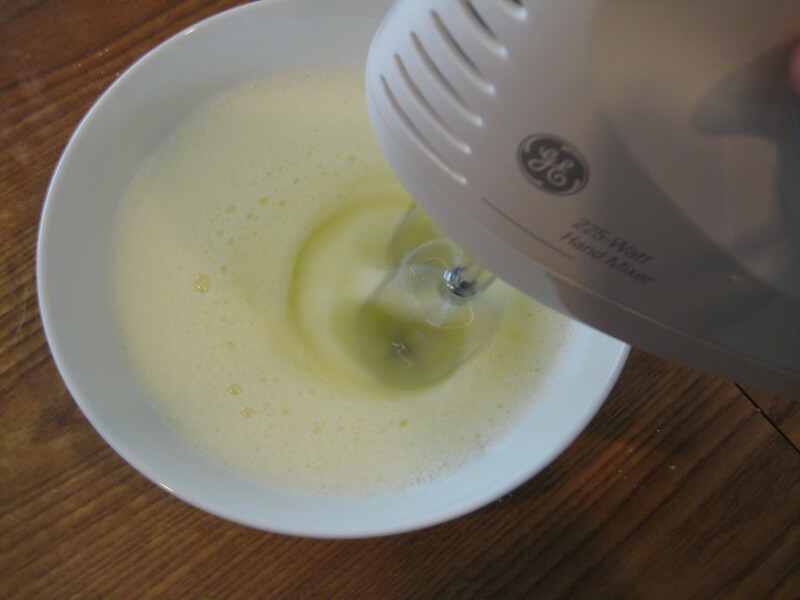 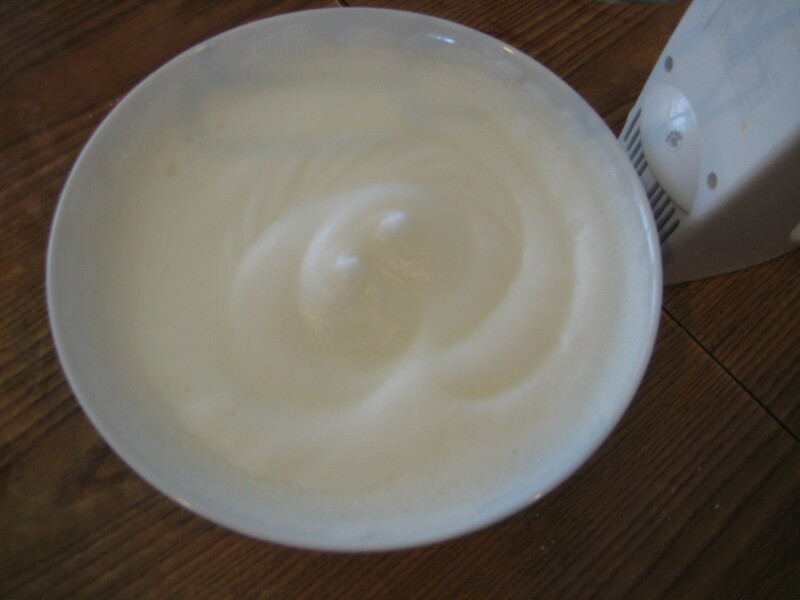 Step 8: Using an electric mixer, beat the egg whites until it becomes frothy. 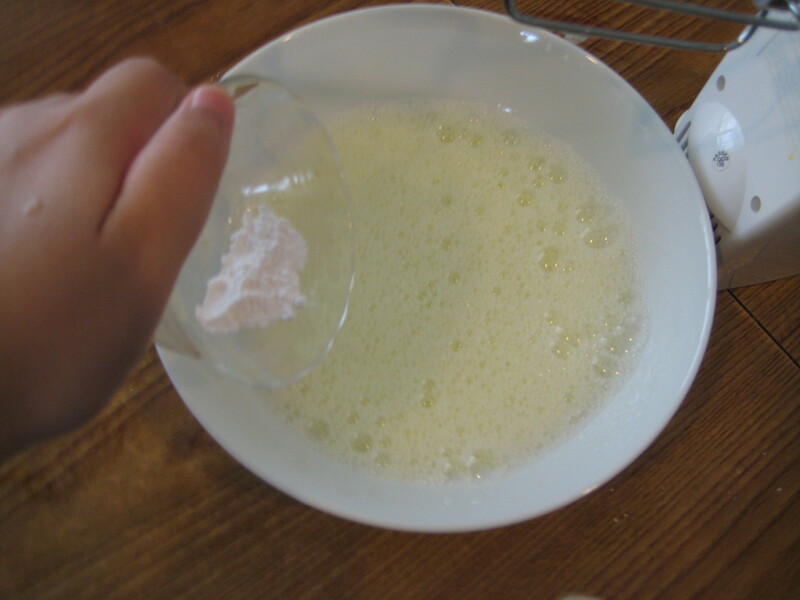 Step 9: Add the cream of tartar to the egg whites and beat until firm peaks form. 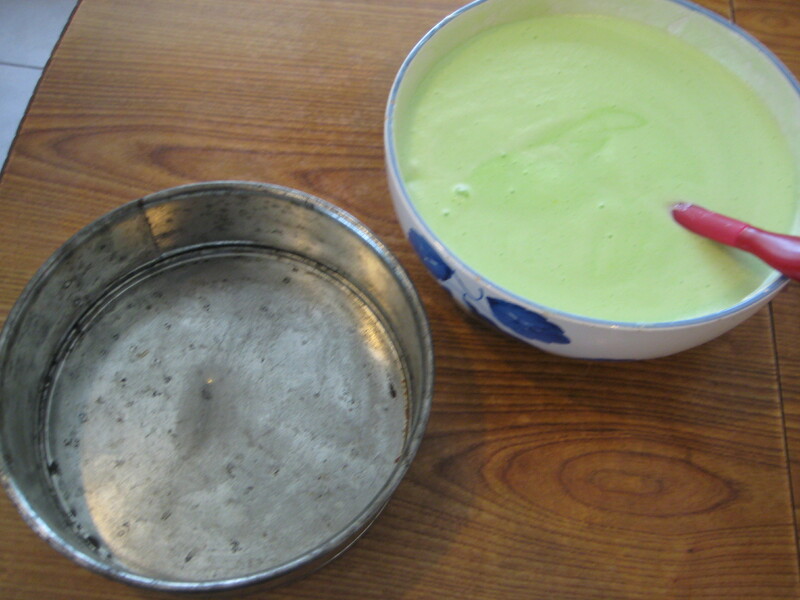 Step 14: Remove from the oven and carefully invert (turn upside down) the pan onto a wire rack (Do not remove from pan until completely cooled), since I didn’t have a tube pan and I didn’t bother using a larger pan I wasn’t able to invert the cake so it deflated in under 15 minutes after being taken out of the oven. 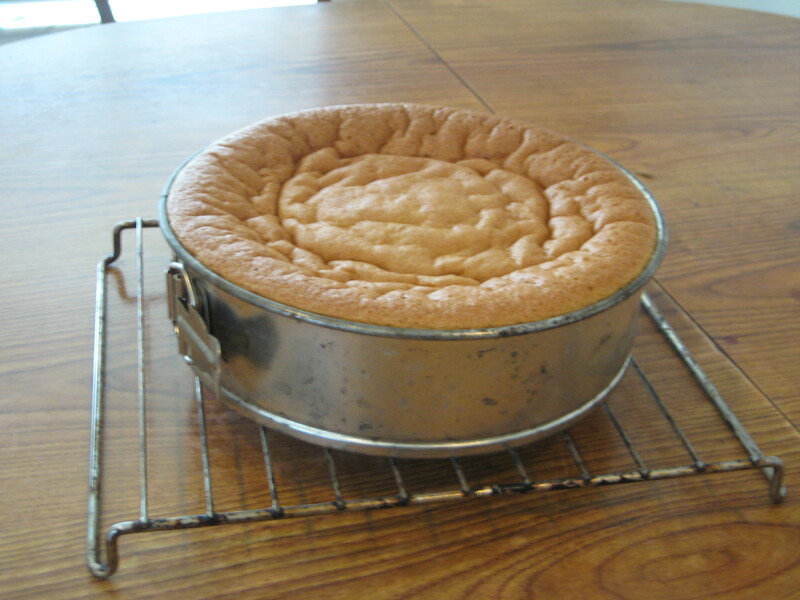 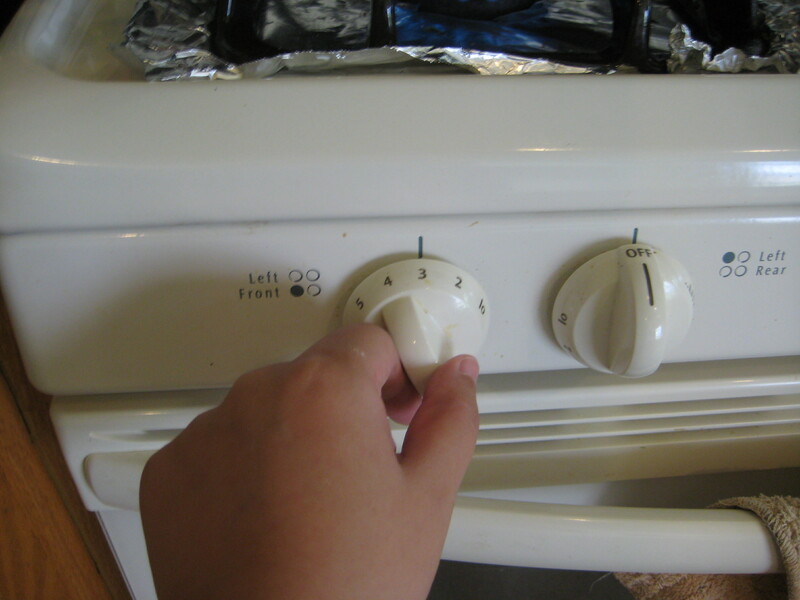 It looked so nice when it first came out of the oven. 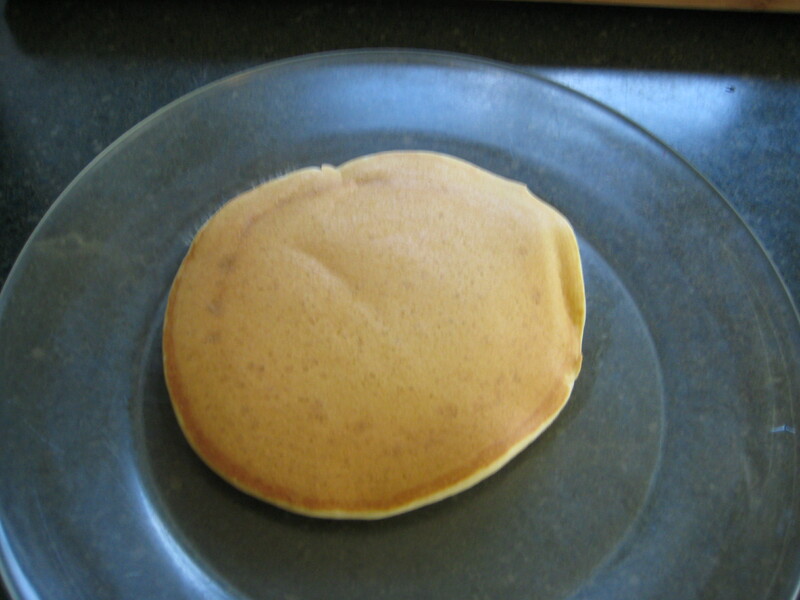 Now it looks depressing. 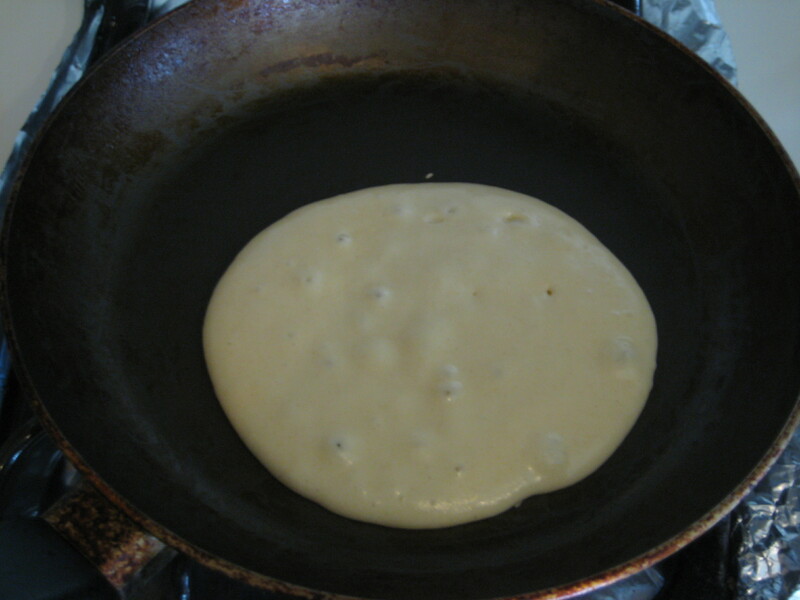 Today I will be making Fluffy Pancakes. 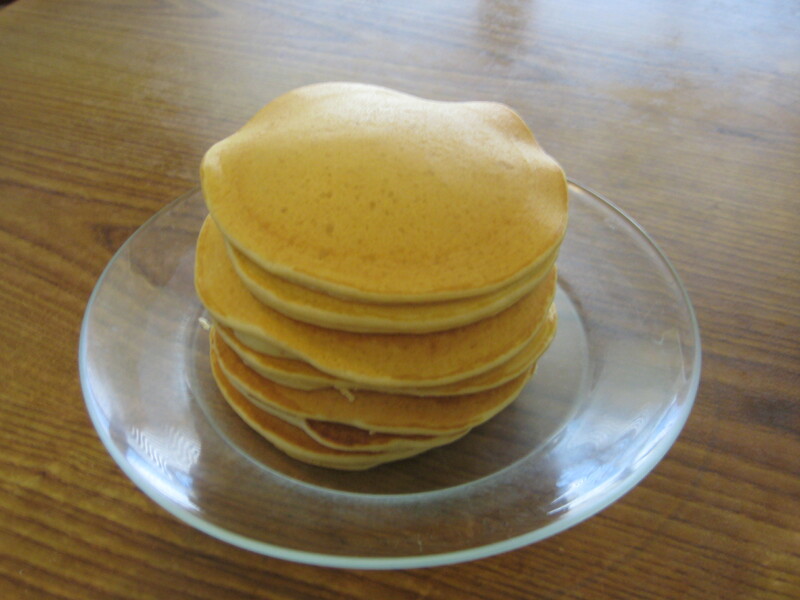 I know pancakes, why? 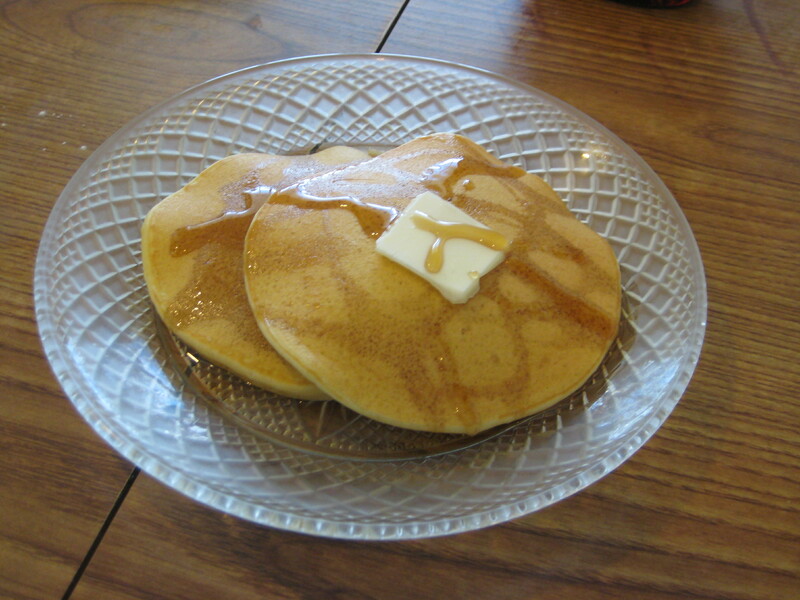 At the moment I’m craving them so I shall make them. 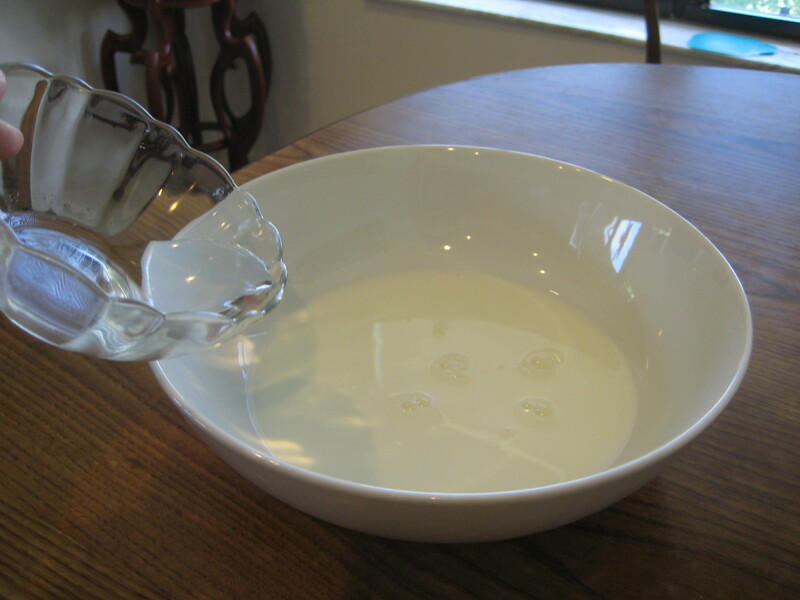 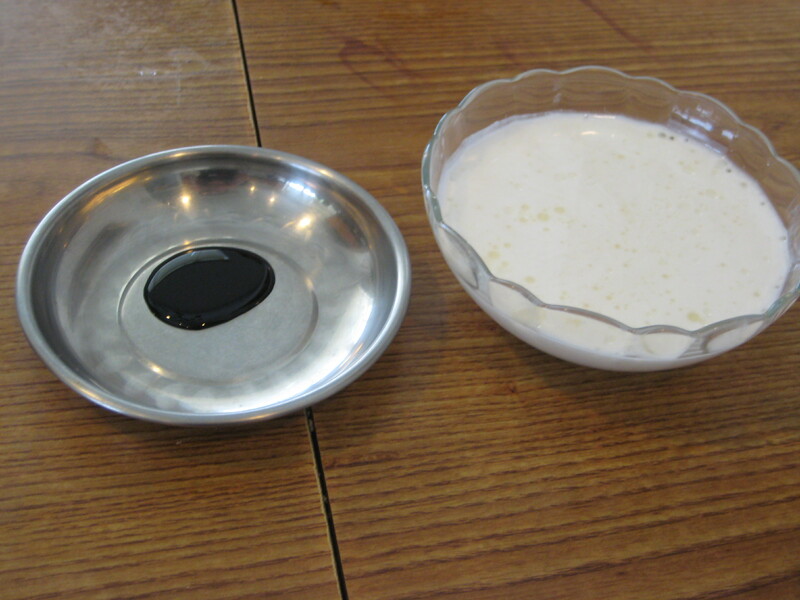 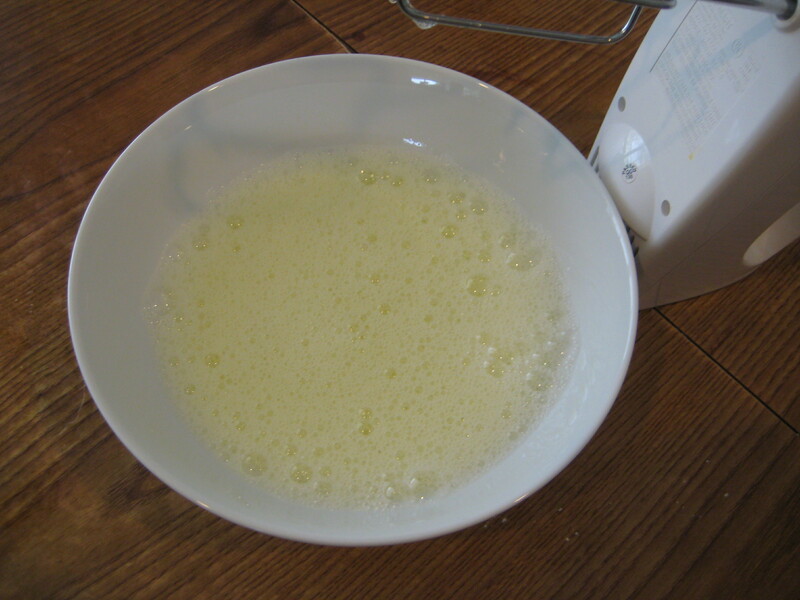 The great thing about them is that instead of using buttermilk, (don’t really have much purpose for it, so didn’t bother getting it) like in many pancake recipes, I will be substituting the buttermilk with milk and vinegar. 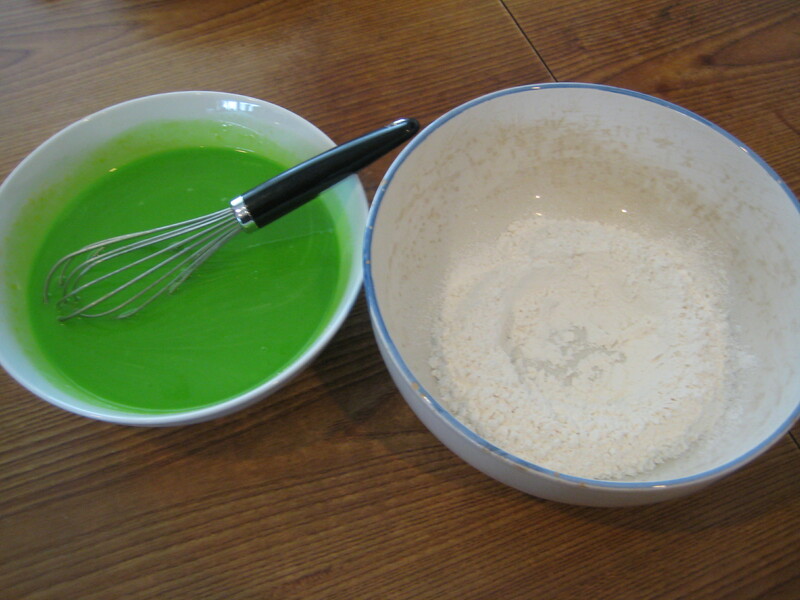 Sounds weird, I know, but in this you can’t taste the vinegar and the vinegar will also help in the leavening process during cooking too. 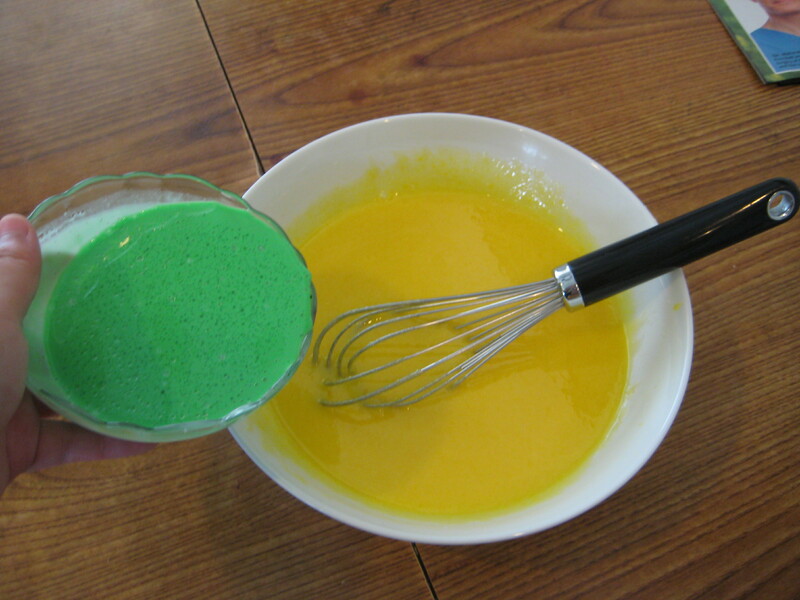 Similar to a vegan chocolate cake or a red velvet cake. 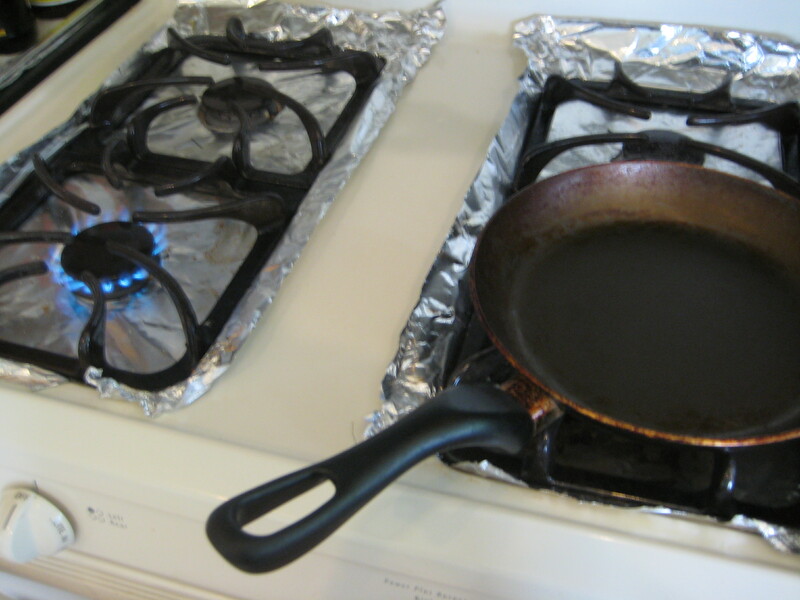 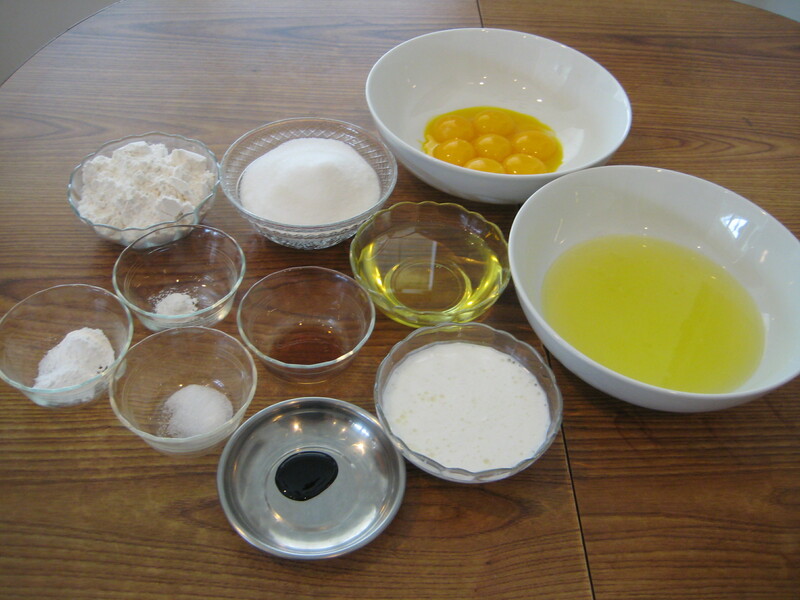 The combination of certain ingredients will help in a multipurpose way. 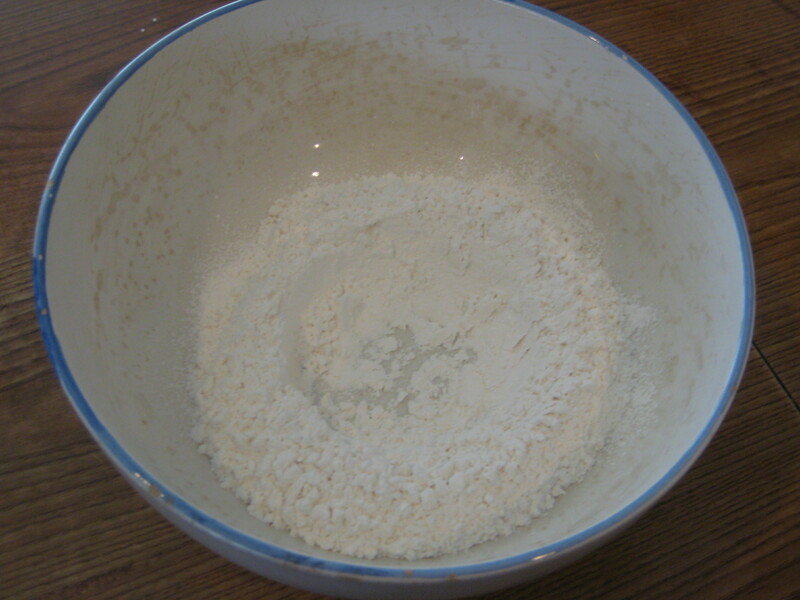 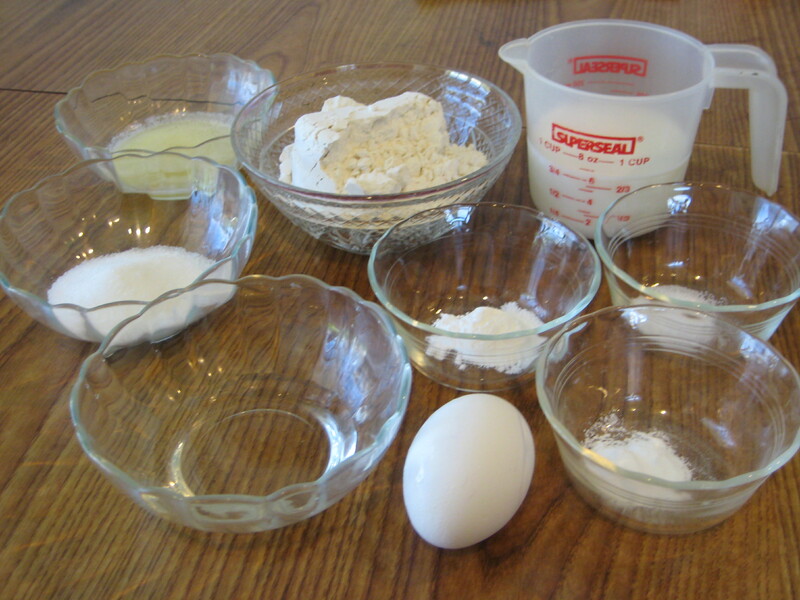 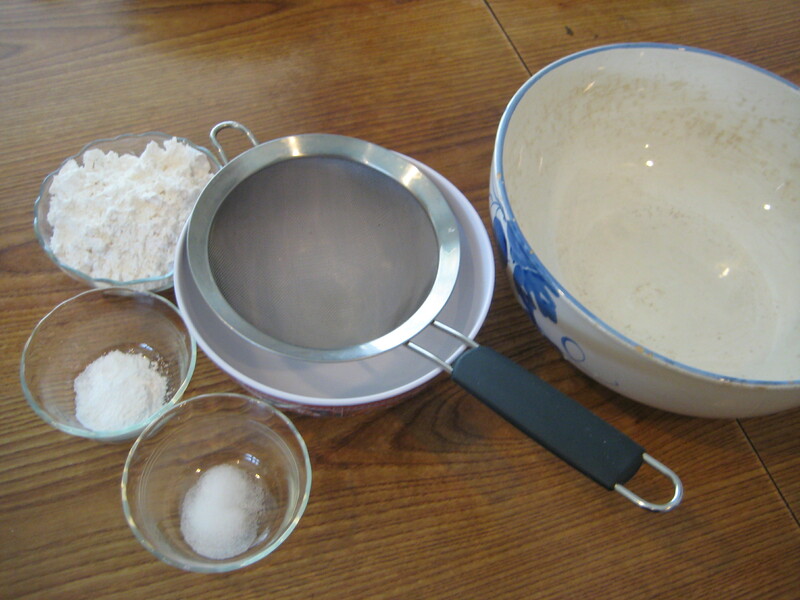 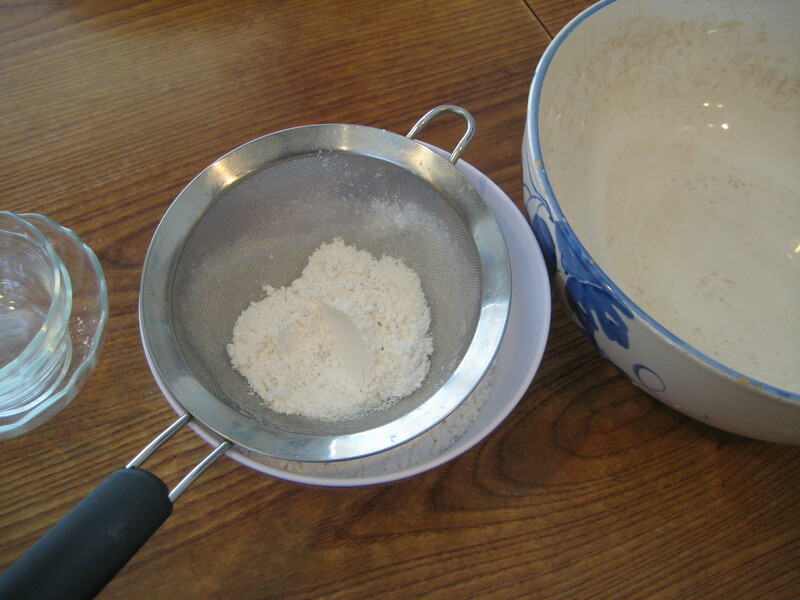 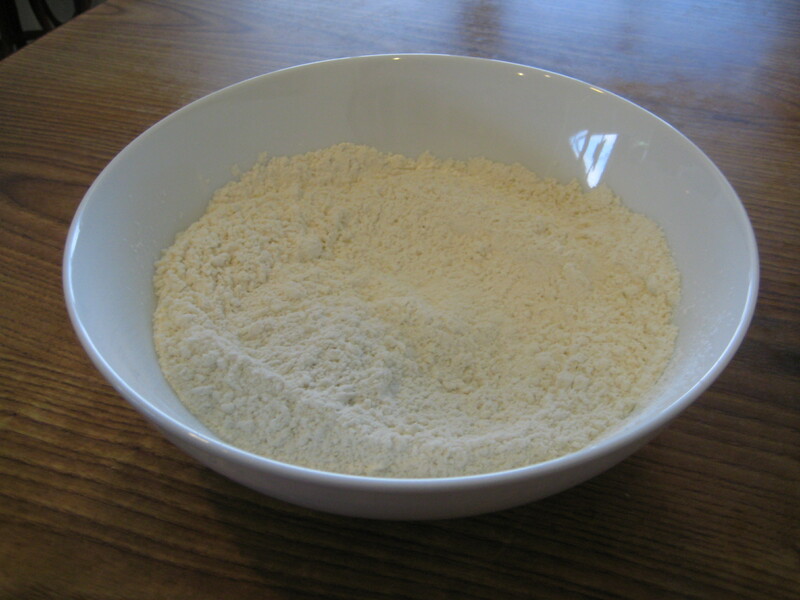 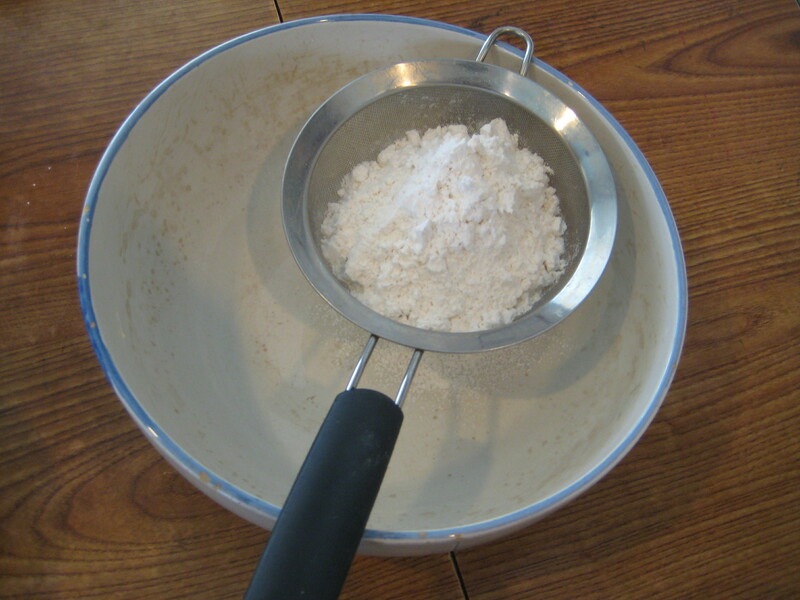 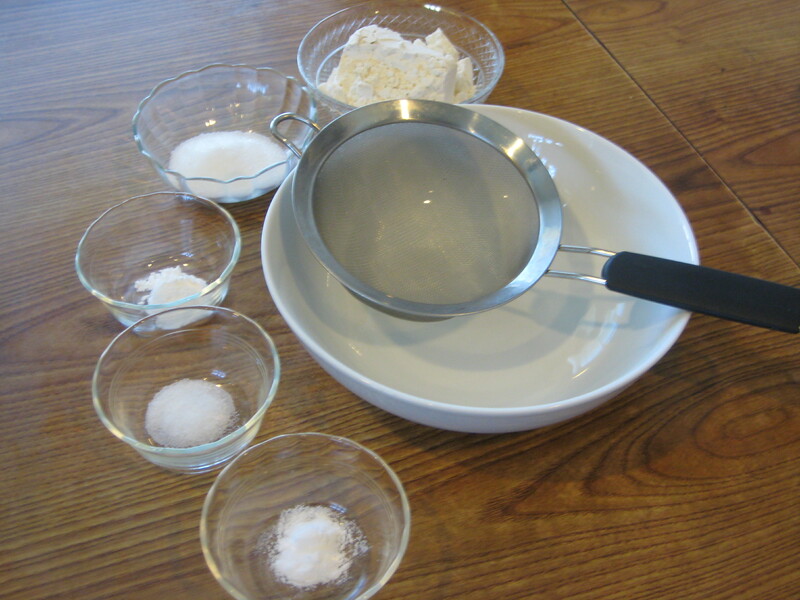 Step 2: In another bowl, sift together the flour, sugar, baking powder, baking soda, and salt. 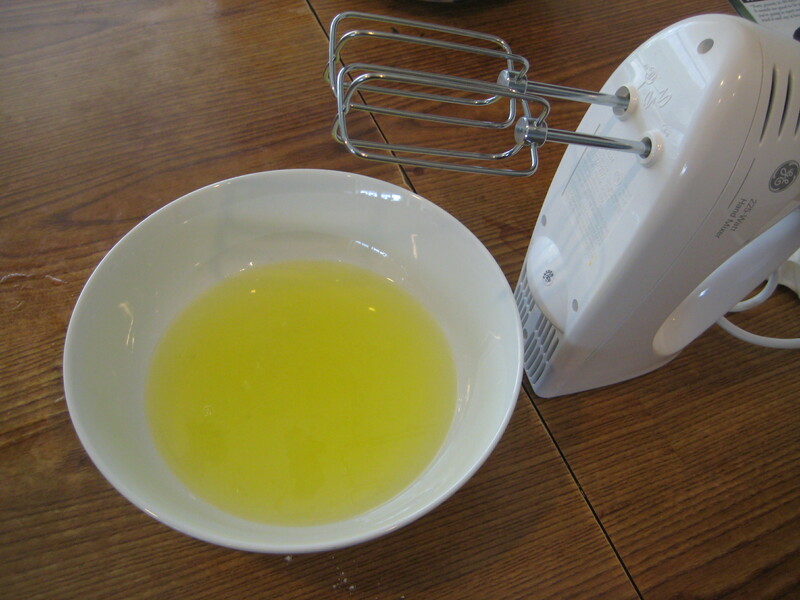 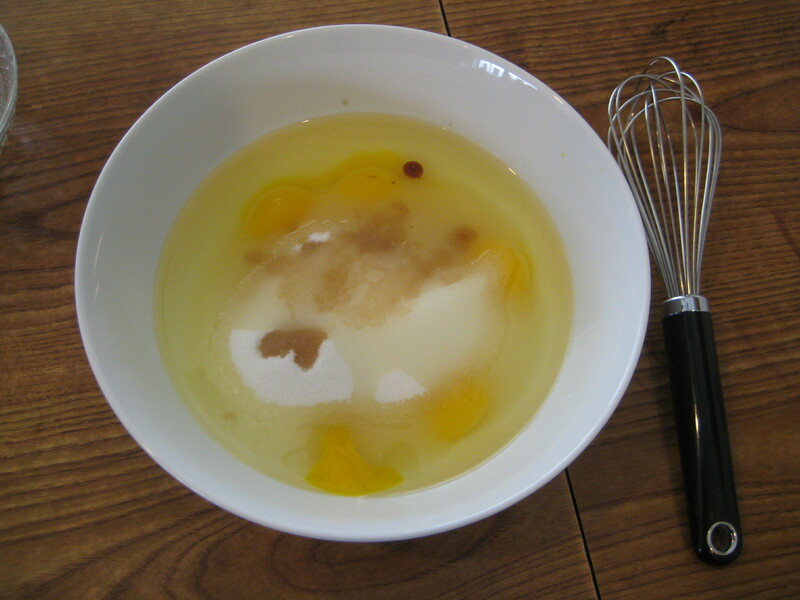 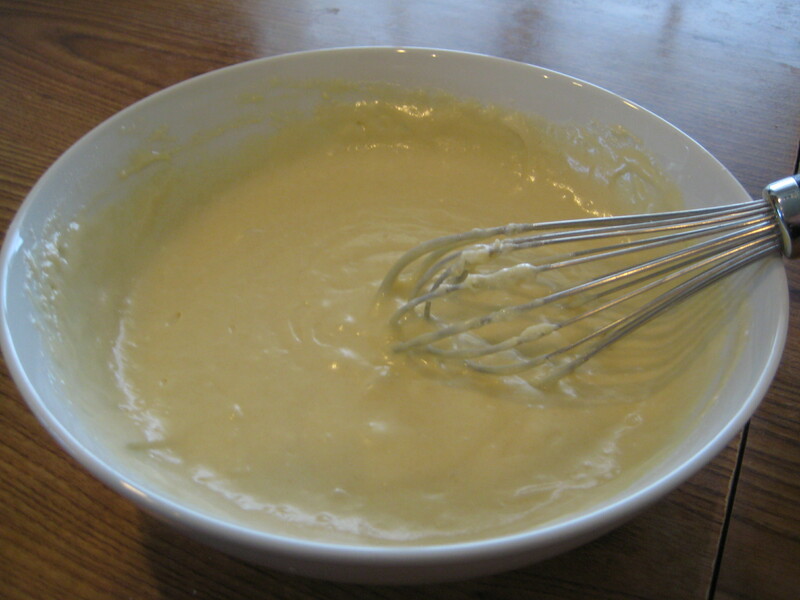 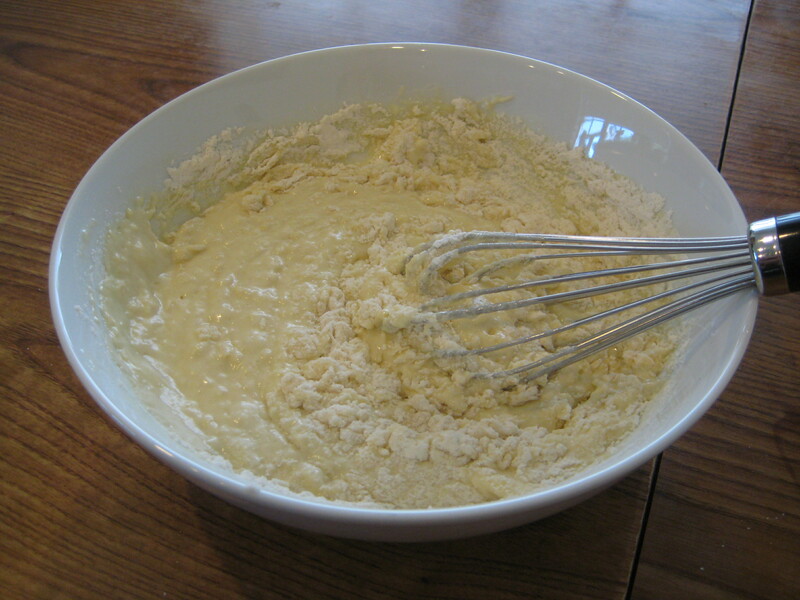 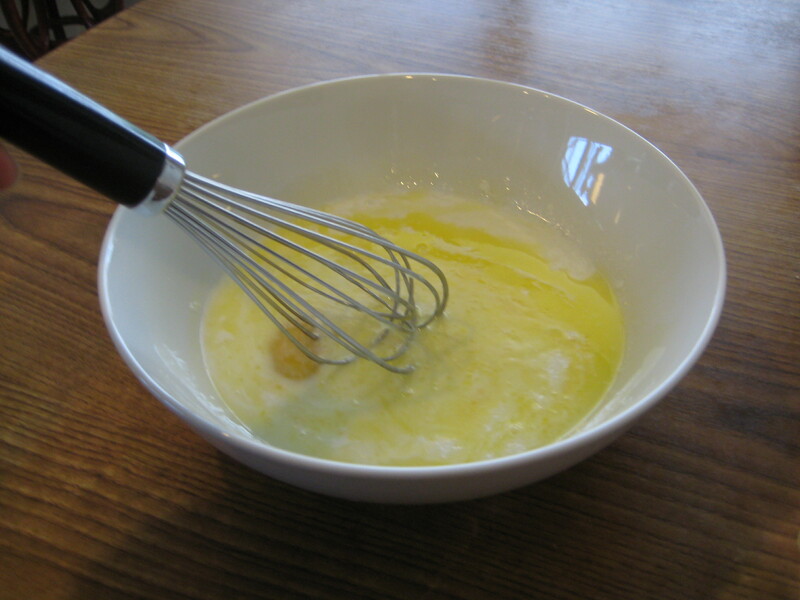 Step 3: Whisk in the egg and butter into the milk.